Patented system that lets you quickly and easily hold skirtings while they dry. The system allows you to exert pressure against the skirting. Made to measure engineered Mat, was designed for indoor or covered outdoor surfaces and for heavy foot traffic. For removal of soft PVC floors and carpets, rigid PVC floor coverings, linoleum, resin and sports floors. Tactile and visual tile intended for alerting blind and partially sighted people to imminent dangers on their way. 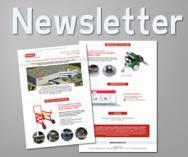 Many purposes: Finishing, Decoration, Protection and Anti-slip. 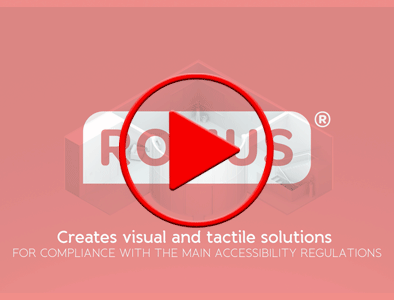 VIDEO : ROMUS creates visual and tactile solutions to ensure mobility and safety for everyone.